Clear light gold color. Delicate aromas of baked apples, butter roasted nuts, waxy honeycomb, and clay with a supple, tart, spritzy, sour light-to-medium body and a tingling, buoyant Sicilian lemon juice, blood orange, and matcha finish. A very, tart apple cider that will pair nicely. 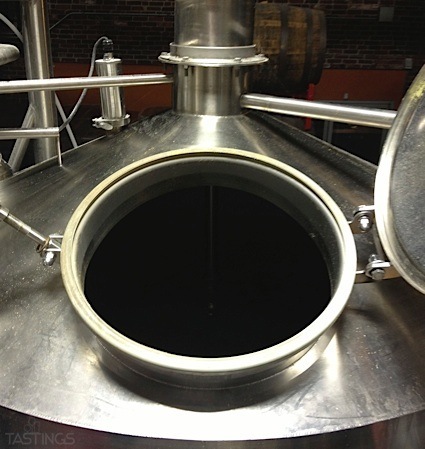 Bottom Line: A very, tart apple cider that will pair nicely. 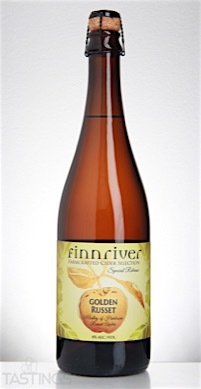 Finnriver Farm & Cidery Golden Russet Hard Cider rating was calculated by tastings.com to be 94 points out of 100 on 4/20/2016. Please note that MSRP may have changed since the date of our review.